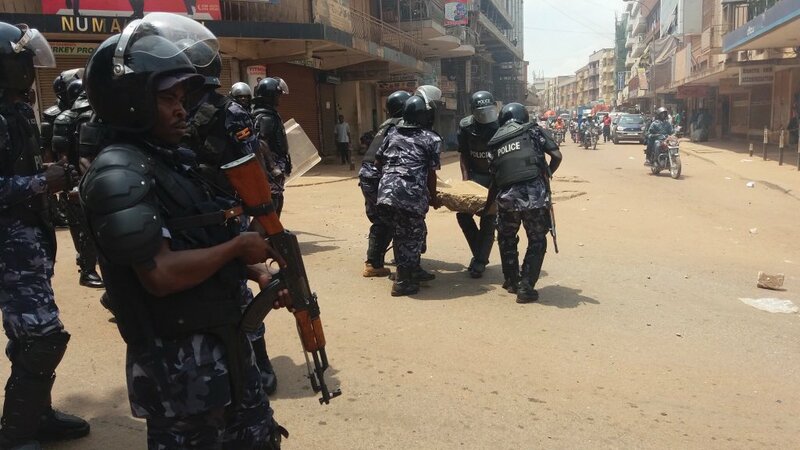 KAMPALA – Policemen backed by Military Police and UPDF officers are currently engaged in running battles with protesters in the Kampala business district who are demanding the immediate release of Kyadondo East MP Robert Kyagulanyi, aka Bobi Wine, who is incarcerated at Makindye Military Barracks. 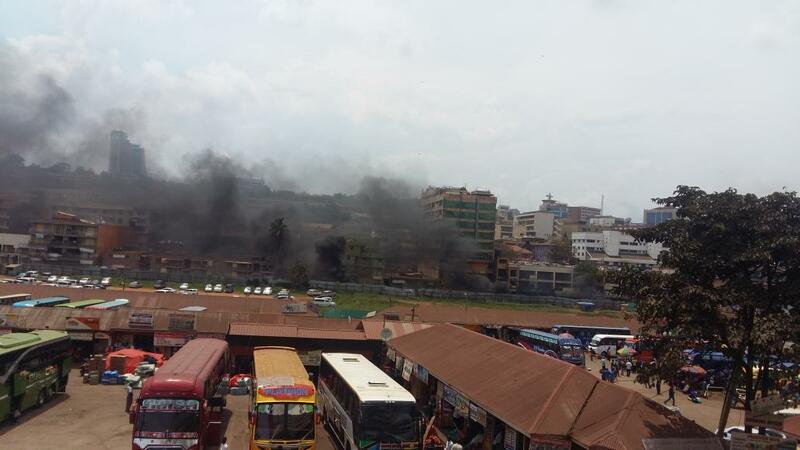 The protests, which started from the notorious Kiseka Market later spread to other parts of downtown Kampala, including Old and New taxi parks, Nasser Road, Wandegeya, Mini Price, William Street, Kamwokya, Katwe, Makindye and Najjanakumbi among other areas. The protesters blocked Kyaggwe road and Police led by Kampala Central Police Station commander Joseph Bakaleke fired bullets and tear gas to disperse them. 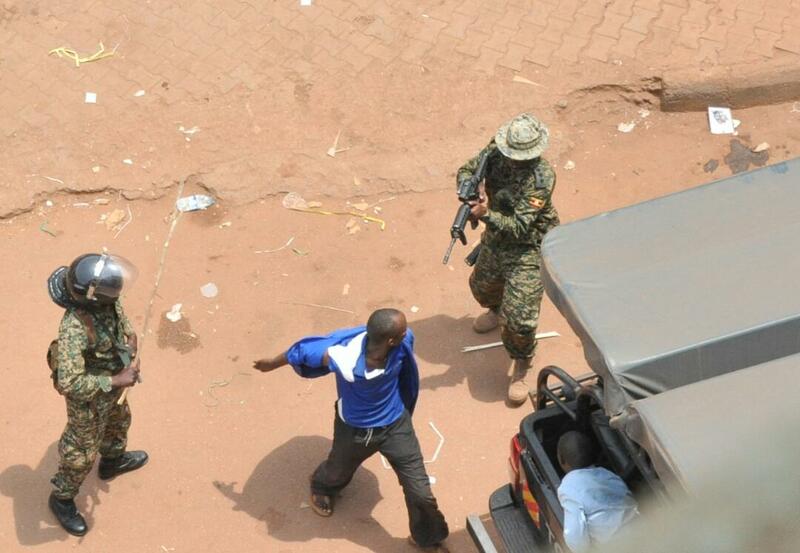 They have now been reinforced by Uganda People’s Defence Forces (UPDF) soldiers to restore calm. The protests come a day after residents of Mityana on Sunday, August 19, staged a demonstration over the arrest and alleged torture of Mityana Municipality Member of Parliament Francis Zaake.